What does a simple, lightweight and low cost solution designed for edge computing actually look like? There’s no point denying it - the edge computing phenomenon is on the rise. But why? There is growing pressure on edge sites such as branch offices, remote installations and retail stores to generate and process data. Having to cope with this rising demand has defined the conversation around edge computing. IT architects need simple, lightweight, and low cost solutions that can handle the increased compute and storage demand at their edge locations. But what does a simple, lightweight, low cost solution designed for edge computing actually look like? What should the IT architect expect from such a solution? What is necessary, and what isn’t? Join us for our latest webinar to understand exactly what you should be looking for when considering a refresh at your edge sites. 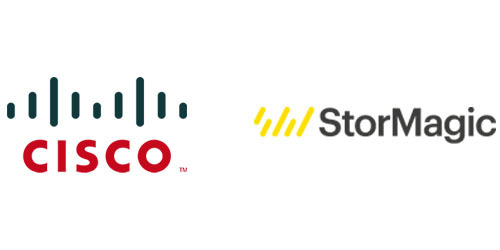 Together, Cisco and StorMagic walk you through an ideal configuration that minimizes footprint by leveraging Cisco Routers with UCS E-Series server blades - perfect for branch workloads that typify edge computing environments. Combining the E-Series blades with StorMagic SvSAN enables the configuration of a highly available, resilient solution that eliminates downtime while maintaining a simple, light footprint. Furthermore, hear about the deployment at KAR Auctions whose successful implementation of SvSAN on Cisco UCS E-Series has led to a 40% reduction in TCO through server and software savings. Complete the adjacent form to watch the recorded webinar on-demand and download the presentation slides.